CHASING FOOD DREAMS: Swez Brasserie, Eastin Hotel Petaling Jaya: The East Meets West Slurp-Factor! 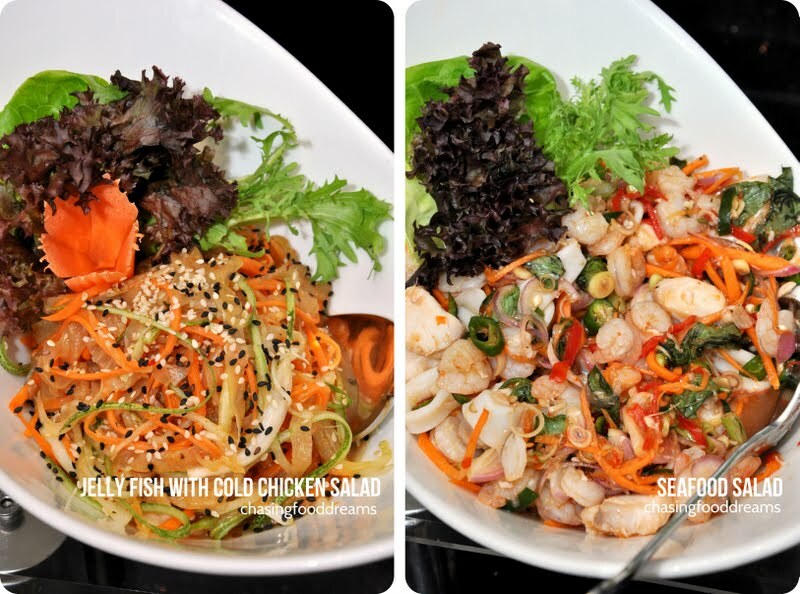 Swez Brasserie, Eastin Hotel Petaling Jaya: The East Meets West Slurp-Factor! The Best of Both Worlds… Steamboat and Barbeque! Like Yin and Yang, steamboat and barbeque have always been on the opposite end of the epicurean belt! Regardless of its difference, both are still enjoyed by many foodies tremendously. For the month of October, Eastin Hotel Petaling Jaya is presenting a special East Meets West Combo buffet dinner at Swez Brasserie featuring both steamboat and barbeque. Heading over to Swez Brasserie, there was a sumptuous spread of seafood and meat to greet the appetites. Swez Brasserie presents 3 types of soups for the steamboat affair with a Vietnamese, a Herbal and a Spicy Broth as options. Besides the steamboat ingredients, make sure to check out the wide spread of barbeque items for some grilling action by the chefs at the restaurant. First stop, I gawked at the array of seafood nicely chilled on ice! Clams, Bamboo Clams, Kapah, Mussel, and Crab compete for our attention together with Snapper, Salmon, Prawns, Squid and more. The variety is almost mind-boggling. Salmon pieces and prawns were so fresh and sweet as I gently dipped in the hot steamboat broth while my other half had some grilling action done. Fillers for those who cannot live without Assorted Seafood Balls, rest assured there are plenty of choices. Yong Tau Foo is also available for some steamboat actions. Going green is another possibility as there is plenty of Assorted Vegetables and Mushrooms to provide the required greens. If you must have your noodles, take a pick from dried to fresh Noodles! Going over to the Barbeque affair, I spied loads of meat and seafood all marinated for the grill. Gorgeous Sirloin, Lamb, Chicken, Fish, Sausages, Satay and Vegetable skewers just needed to be pick up and handed over to the chef to be cooked. 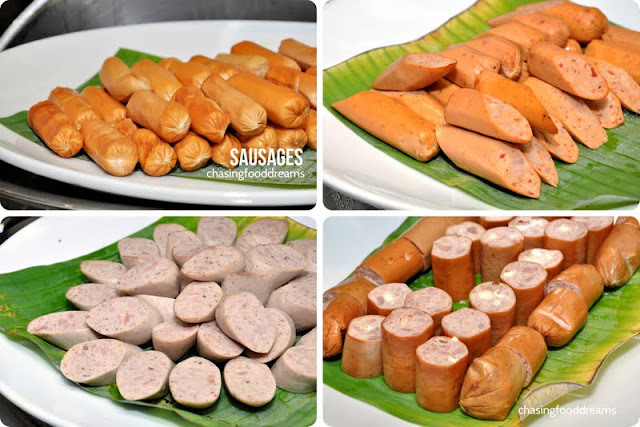 Check out the array of sausages from Chicken Cheese Sausage, Poultry Jumbo Sausage and Chicken Chorizo Sausage. 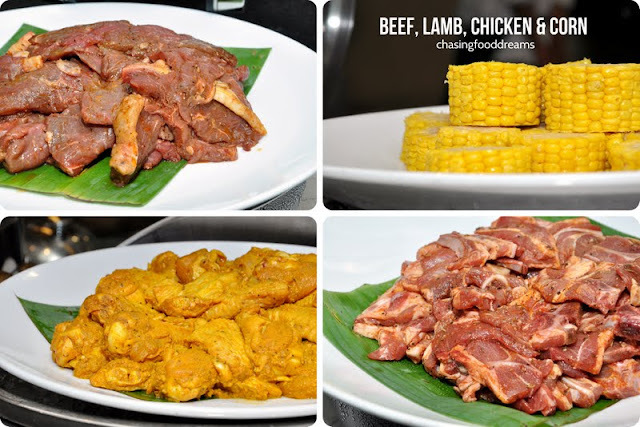 Enjoy the scrumptious array of barbeque meats with Pineapple, Mango or Tomato Salsa. There is also a lovely array of Western sauces like Black Pepper, Dill Cream, Mushroom, Onion, Rosemary and BBQ versus Eastern sauces like Ginger Sauce, Belachan, Chili, Vietnamese Peanut, Sang Har and Seafood Sauce! Besides Steamboat and Barbeque, check out the starters like Home Smoked Salmon with Apple Relish, Mussels with Mango Salsa, Cannelini Bean and Shrimp Salad, Home Smoked Seabass with Pineapple Relish and lots of small bites. Soups like Curry Pumpkin Soup and Indian Vegetable Soup are also available. 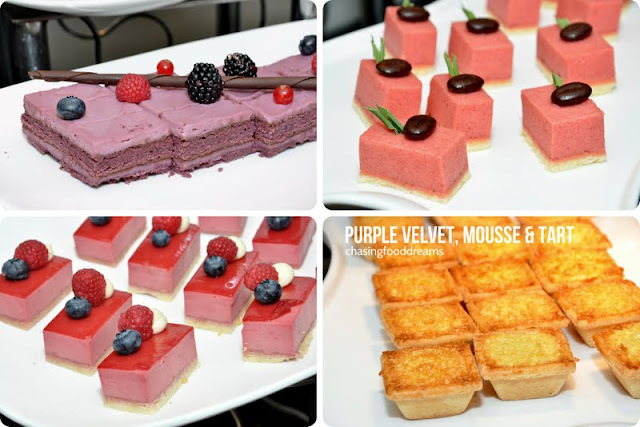 Desserts showcase warm Cherry Cobbler, Purple Velvet Cake, Strawberry Mousse Cake, Coconut Layer Cream Cake, local Kuihs, Ice Creams, Ais Kacang and more. The East Meets West Buffet Dinner can be enjoyed at Swez Brasserie from 1st to 31st October 2012 from 6.30pm to 10pm. Priced at RM68++ (per adult) and RM34++ (per child). One of my friend told me that their Chinese restaurant actually serves pretty good steamboat. Maybe that's why they are serving it now at the buffet section. Very nice ! Good price for such a variety ! Maybe we will come here on my birthday with wife and kids ! That soup looks like a filling and tasty brew. I only had a bit of the steamboat.. I was more focus on the bbq.. lol!! 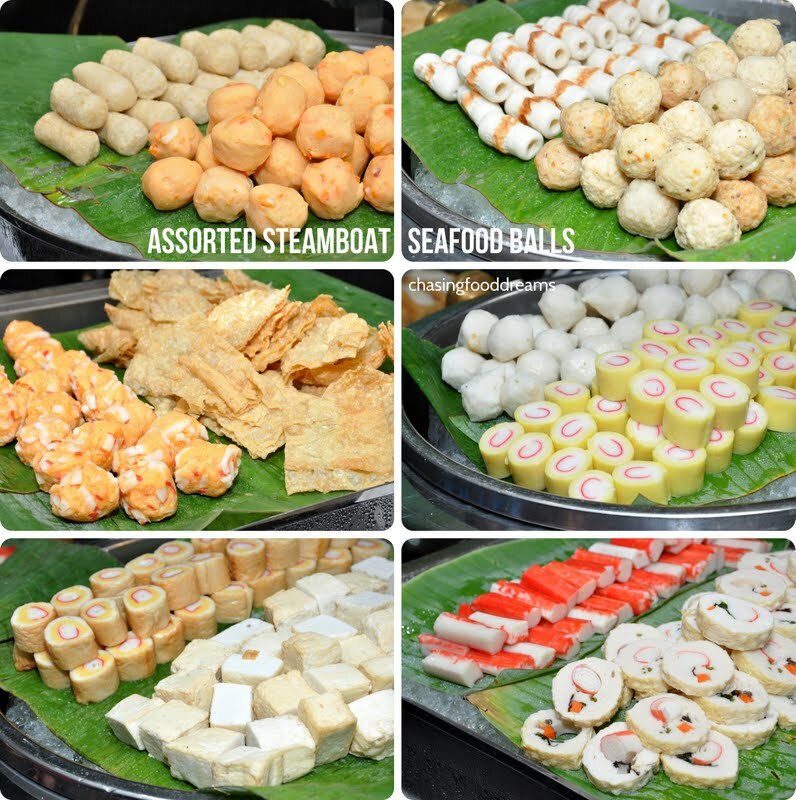 Avid fan of steamboat here, must plan a visit! Toast & Roast, SS2: My Lunch Affair with a Hog!